High quality Optical Character Recognition in 13 languages for reconstructing scanned pages as editable documents. A number of tests were carried out, converting scanned PDF Files to Microsoft Word. 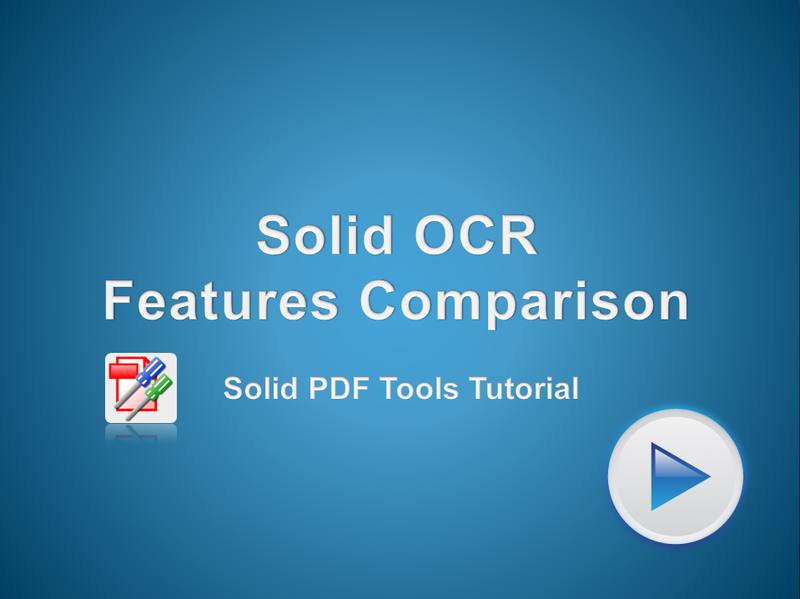 Using Solid OCR we tested document reconstruction in the 13 supported languages, as well as headers and footers, tables and other document objects.